Ken Brecher, the former executive director of the Sundance Institute and an anthropologist by training, told those attending the 2009 Skoll World Forum on Social Entrepreneurship that "video is the medium of the digital age." At that conference, he famously urged social entrepreneurs and cause activists to use film, YouTube and short video "to bring order from chaos and in doing so, fulfill the highest human function -- not as a visionary but with a strong sense of reality." Five short "cause" films have been nominated for an Oscar this year; each offers a raw glimpse of contemporary life around the globe. Nominated films include the story of a Pacific Island threatened by climate change -- one of the first films about climate change refugees. Also up for an award Sunday night: a film that profiles a young cheerleader-turned-machine gunner in Iraq; another that tells the story of a wedding disrupted by a suicide bomber; a profile of Chinese villagers who fight back against the chemical company that is polluting the local water supply, and a short film about an extraordinary school in Tel Aviv that brings together students from 48 countries. The Warriors of Quigang is another short doc nominee for the Oscar, about a Chinese village that fights back against the pesticide plant that has polluted the local water supply. Click here to watch the trailer. What do you think of these films? Can you name a few that also should have been nominated? Let us hear from you. Tonight, Frontline airs Revolution in Cairo, a behind-the-scenes look at Egypt's April 6 Youth Movement as it plots strategy and then heads out into Cairo's Tahrir Square, hoping to bring down President Hosni Mubarak. "The film traces these young Egyptian activists' long road to revolution, as they made increasingly bold use of the Internet in their underground resistance over the last few years," Frontline's Executive Producer David Fanning recounts. "Through sites like Facebook, Twitter and YouTube, the members of April 6 and related groups helped organize a political movement that the secret police did not understand and could not stop, despite the arrest and torture of some of the movement's key members." The piece includes soundbites from David Wolman, the WIRED writer who has been reporting inside the April 6 movement and Mona Eltahawy, a popular blogger on Arab issues. What do you think of this story? Let us hear from you. Next month marks the fifth anniversary of the first Tweet -- which Twitter creator Jack Dorsey sent at 9:50 p.m. PST on March 21, 2006. The tweet? Nothing special, actually. "Just setting up my twttr," Dorsey wrote. The microblogging service has since wracked up an estimated 200 million users sending some 65 million tweets per day worldwide -- and, says NPR's Terry Gross, "it has been used by heads of state, astronauts in outer space and protesters in Iran, Egypt and Tunisia trying to disseminate information after news media crackdowns in their respective countries." Earlier this week, Gross interviewed Twitter co-founder Biz Stone about the rapid growth of the social network, the short history of Twitter in activism and efforts by some governments to censor usage. "Twitter has managed to find its way into almost every political uprising around the world," Stone told Gross. "...The Internet and social media are making the world a smaller place," he added, helping to synchronize thought and action globally. TERRY GROSS: What were the first indications you saw that Twitter was being used as an organizing tool in Egypt? 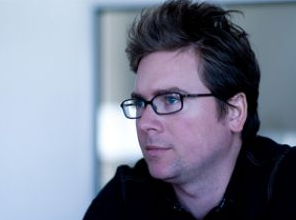 BIZ STONE: Well, actually, Twitter's use in Egypt goes back to something that happened in 2008 that we heard about after the fact and we were just sort of chilled by -- and that was this photojournalism student named James Buck, who had traveled from U.C.-Berkeley to Egypt specifically to photograph protests. And he wanted to get great photos in Egypt. And so he went out there on his own, and he kept missing all of the protests that were organized. And so he asked some of his Egyptian friends that he met there: How is that you guys are, you know, suddenly organizing these protests so quickly and so efficiently? And they said: Oh, we're using this tool called Twitter. And, you know, James was from the Bay Area, hadn't even heard of it, and he's hearing about it in Egypt. And so he gets on Twitter, and he's suddenly plugged into this network. And so he's able to make it to these protests, and there he is, taking these great photos. And suddenly, he notices something is up. He told us later, a lot of Egyptian police have mustaches, and the mustache quotient in the crowd went up significantly, which got him worried. And he suddenly said something doesn't seem quite right. And he was grabbed, arrested by Egyptian police, thrown in the back of a car, really starting to freak out. He's this young guy, realized they hadn't taken his mobile phone from him yet and that he was on Twitter. And so he sent out a tweet, and it was a one-word tweet, and the word was "arrested." Within about three hours, what happened was his friends back home in California knew the situation that he was in, they had been following his other tweets. They knew it wasn't - that it was serious, that it wasn't a joke. His friends called the dean. The dean called a lawyer. The lawyer called the consulate, and within a few hours, James sent out another tweet that was also one word, and that was simply "freed." And when we heard about this story and that Twitter was being used in Egypt in 2008 to organize these protests, that was one of the early, eye-opening experiences for us, that made us realize this was not just something in the Bay Area for, you know, technical geeks to fool around with and to find out what each other's up to, but a global communications system that could be used for almost anything and everything. In the past few weeks, a number of friends and colleagues have been sending me notes on the uprisings in the Middle East, knowing that I'm writing a book called Swarms, on social media and their ability to rapidly expand the coordination and power of self-organized groups. * The ability of social media to bear unfiltered witness to events -- and distribute videos of them as are happening -- makes it harder for information "to go away" but easier for people in failed uprisings to be identified by regimes later -- and "disappeared." For more on digital swarms, see Mary Joyce's blog post on the tech that powers activists on the Meta-Activism Project blog, and Clay Shirky's piece on social media and political dissent in Foreign Policy Magazine. See also Hillary Clinton's recent speech on Internet freedom, and this NPR interview, below, with Alec Ross -- the State Department's social media advisor. The State Department, Ross says, is now monitoring the tweets of influential people around the world, and chiefly those in the Middle East. "It's fascinating...the degree to which information can be made available in real-time from sources who wouldn't have been historically elevated," he says. What do you think? Let us hear from you. 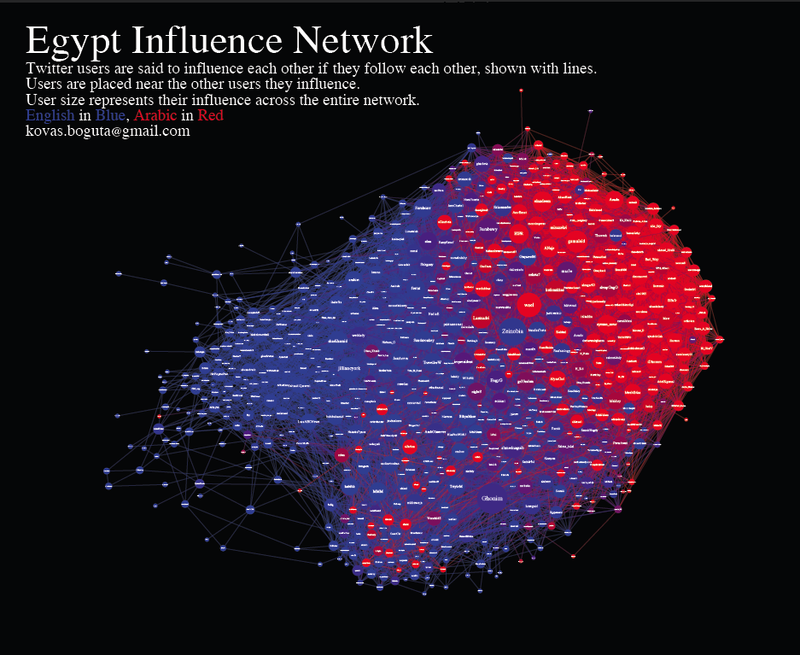 "Egypt is the crystal ball in which the Arab world sees its future," writes Kovas Boguta, creator of this data visualization (above), which analyzes the Twitter communication that erupted during the recent youth uprising in Egypt . Boguta, founder and CTO of Infoharmoni -- which analyzes real-time social structures on the Web -- says he arranged the map to place individual Twitter users close to the people with whom they communicate. The red and blue dots represent which language users were using to communicate (Arabic is denoted in red, while English is denoted in blue). The size of the dots represents the individual's influence on the group as a whole. Different factions are placed near the factions they influence, revealing how weak ties get stronger. “Many fascinating structures can be seen. 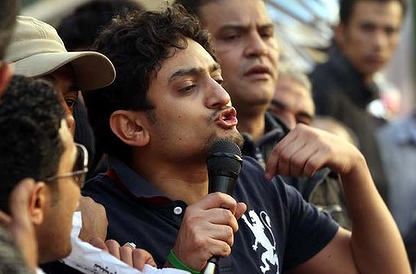 Wael Ghonim, a pivotal figure in this self-organizing system who instigated the initial protests on January 25th, is prominently located near the bottom of the network, straddling two factions as well as two languages. The size of his node reflects his influence on the entire network. 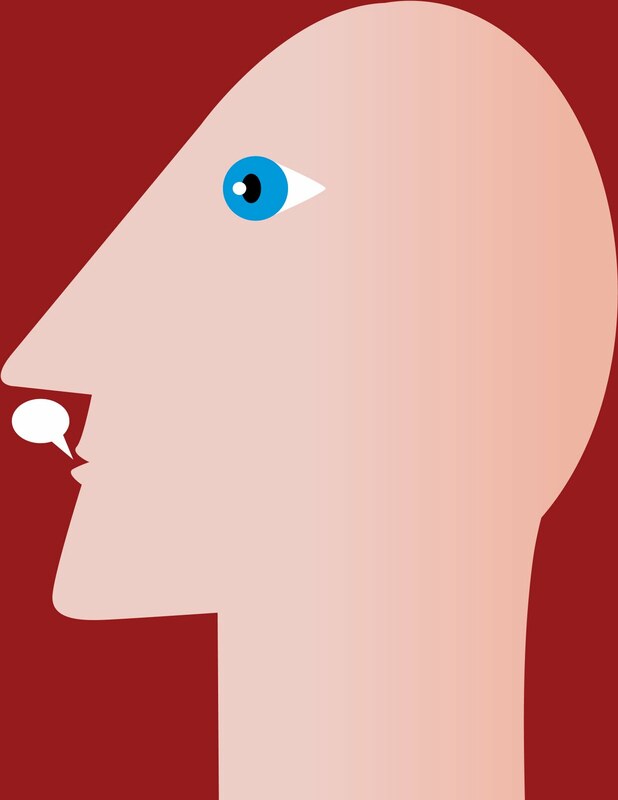 "Most of those in this network speak both English and Arabic, and their choice of language says a lot about both the movement and about Twitter. Some may choose to primarily communicate with friends, while others make an effort to be visible to the rest of the world on purpose. They want to reach out, and connect with, the rest of global society." People are social animals, and love to both move in packs and purposefully individuate. ... Existing social groups incubate new topics of interest on Twitter, and existing interests incubate new social groups. Both move in response to each other. Twitter bills itself as the pulse of the planet, but it's more like the pulse of creative networks. Cairo youth didn't act alone in using social media to depose Egyptian President Hosni Mubarak, the New York Times says today in a front-page story. Their Facebook and YouTube activism was part of a sophisticated, two-year, online collaboration with Tunisian youth activists that used social media to reach across national borders to commiserate about torture, trade tips on evading tear gas, and plot how to use technology to duck surveillance. "They fused their secular expertise in social networks with a discipline culled from religious movements and combined the energy of soccer fans with the sophistication of surgeons," Times correspondents David Kirkpatrick and David Sanger wrote, describing the anatomy of the movement that led to protesters' successful face-off in Tahrir Square against less tech-savvy Egyptian authorities. "What we discovered in reporting this story was that what's happening in the Middle East now is more than just a contagion in which one group inspires the next," Sanger told WNYC Radio this morning on The Brian Lehrer Show. "There was, thanks to Facebook and other social networking elements, a lot of communication back and forth across borders, but of course there are no borders (on the Internet). ...Imagine what a shock that was to Egyptian authorities -- to discover that the entire security system they had spent billions to build and focus on the inside never even considered this other (cross-border technological) threat." 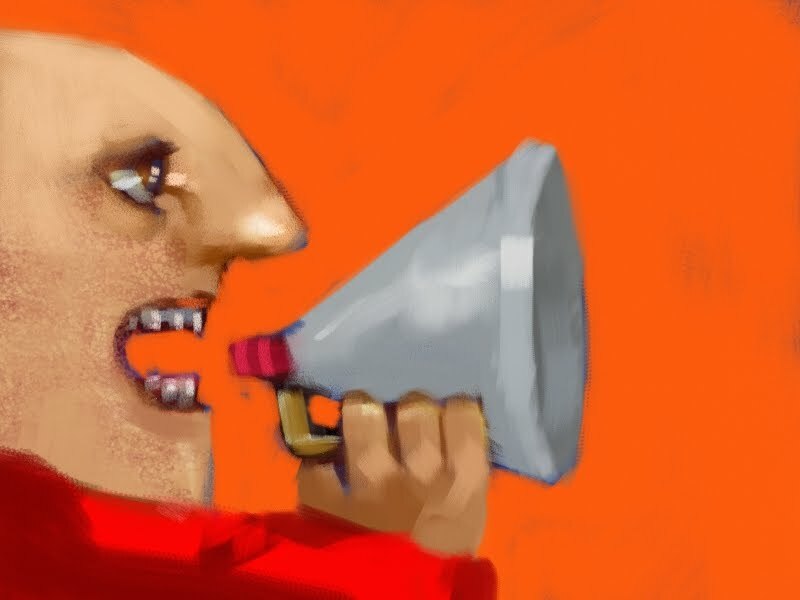 "While social media were used to organize ringleaders, once they got going, they also used some of the oldest forms of communications -- putting up leaflets and fliers and walking through some of the poorest sections to reach people without Net connections. They shouted their message in the streets and picked up a following, liked the Pied Piper. This was a combination of extremly high tech organization and extraordinarily low-tech organization." And now the young leaders are looking beyond Egypt, Sanger says. He and Kirkpatrick quote Walid Rachid, 27, one of the members of the April 6 movement in Cairo -- an Egyptian Facebook group -- as saying that "Tunis is the force that pushed Egypt, but what Egypt did will be the force that will push the world." At a meeting of youth movement leaders last night in Cairo, Rachid told Kirkpatrick: "...If a small group of people in every Arab country went out and persevered as we did, then that would be the end of all the regimes." According to the Times story, the members of the Tunis and Cairo youth movements are talking about sharing their experiences with similar youth movements in Libya, Algeria, Morocco and Iran. But Sanger cautions that the movement's success in Cairo doesn't insure its success elsewhere, especially in countries where authorities are far more sophisticated in the use of the Internet to organize protest. Sanger told WNYC: "I'd love to say Facebook was protection against the military, but had the military decided it was going to open fire on protesters and round people up, this could have looked more like Tiananmen Square, then I think we would have had something very different here." Sanger added: "...Just because social networks can be organized doesn't necessarily mean they will be successful at overcoming a regime." Sanger said that some regimes, like China, "are extraordinarily adept at using the Internet and social media to follow dissidents and punish them." Mubarak's regime, he says, "was clueless" about the power of social media and the Web -- but not every regime is, nor will be in the wake of what happened to Mubarak. Meanwhile today, The Associated Press is reporting that the U.S. State Department has begun sending Twitter messages in Farsi to reach social media users in Iran, with some of the Tweets accusing Iran's government of "illegalizing dissent" while at the same time praising Egyptian protesters. The State Department's Farsi Twitter account had 60 followers within two hours of its launch, the AP was reporting. The AP also is reporting today that the State Department launched an Arabic Twitter feed last week in an effort to communicate with the Egyptian protesters and signal its support. Efforts by authorities last week to shut down the Internet in Egypt should serve as a "wake-up call" to citizens everywhere that social media are not free from government and corporate control, Web and foreign policy experts warned today at two separate Social Media Week gatherings in Manhattan. "I don't worry about social media so much as I do about corporate and government attempts to shut them down," Micah Sifry, Executive Editor of the Personal Democracy Forum, told a mid-day panel hosted by Wired magazine at Google's New York science hub. Social media companies, he said, will do what is in their best interests -- and not always what's best for free speech, privacy and the security of citizen activists. Sifry, author of the recent book, Wikileaks and The Age of Transparency, also said he worries about a lack of transparency by social media companies when it comes to their policies governing user privacy and security. He said social media platforms "have become ubiquitous ... yet we as users have less rights on them than we do walking into a shopping mall." Sifry added: "I don't think that these [social media] companies will be good global citizens" in the years ahead. Typically, "the government asks for your data and companies hand it over," he said. "...This is a great wakeup call for citizens to fight for something better, and to ask themselves, What are our rights? How do we enforce them in this space?" Later in the day, author Evgeny Morozov told a panel hosted by the Open Society Institute that "governments everywhere are looking for an Internet kill switch" now that social media are making it easier for activists to organize faster and in higher numbers than ever before. Morozov, the author of The Net Delusion: The Dark Side of Internet Freedom, said the Utopian vision of the Net that most people shared a decade ago -- the notion that dictatorships would collapse under the onslaught of social media -- doesn't square with today's world. The Internet, Morozov argues, "is an uncontrollable and inherently political medium that will frustrate those who believe democracy can be promoted with the push of a button." He said he wrote his book to help people understand that while social media can accelerate social movements -- these movements will not occur the same way across the globe, nor have the same outcomes, due to differences in local cultures and aspirations. Case in point: the failure of a Facebook campaign in Syria last week and separately, the recent use of blogs and other forms of social media by Sudanese authorities to disseminate false information in an effort to ferret out and arrest anti-government protesters. For more on the subject, see the February 5 CNN Opinion article, "Internet is easy prey for governments" by Douglas Rushkoff, and "Caught in the net" -- a review of Morozov's book by The Economist magazine. See also "Voicing Opposition" by Sarah A. Topol in Slate. Do you agree or disagree? Let us hear from you. Just after the 1989 pro-democracy protests in Beijing's Tiananmen Square ended in a spray of live fire from government tanks that killed untold numbers of demonstrators, a Chinese journalist colleague of mine advised his fellow writers to "be like water." He was quoting a Chinese proverb commanding persistence in the face of towering obstacles: water, he explained, can seep through and around even the most imposing walls to get to the other side. I have been thinking of him recently, watching events unfold in Cairo's Tahrir Square. Egyptian blogger and pro-democracy activist Mona Seif, when interviewed last week by National Public Radio's On the Media from Tahrir Square, affirmed that it was a challenge to organize anti-Mubarak demonstrators online after the Egyptian government had tried to shut down the Internet. But it wasn't impossible, she said. Seif, a post-graduate student in cancer research at Cairo University and the daughter of renowned human rights lawyer Ahmed Seif El-Islam Hamad, said the Web and social media not only helped to amass protesters but also to humanize them outside of Egypt. Additionally, she said, the government was unable to shut down all communication; information is still able to leak through. NPR: When the (Egyptian) government shut off the Internet, did it have a backlash (effect), infuriating people who otherwise would not have mobilized? SEIF: I think it had a backlash but not because of infuriating people. A lot of the people who would have normally been satisfied with just following the updates (of what was happening in the square) on Facebook and Twitter suddenly did not have this connection and so they found no way of being part of this movement except by going out into the streets. I think that cutting off the Internet actually helped the movement on the ground and in the street to become bigger. NPR: We get lots of criticism here in the West about about Twitter; can you take this opportunity to explain what Twitter can mean? SEIF: I understand this criticism because I've been getting it a lot from my friends. I think sometimes there needs to be an experience like the one we are in to really grasp just how powerful such a tool like Twitter is (and can be). The use of Twitter to engage different people in bits of your life is really what it makes it a powerful tool -- when there is a serious event and you want to engage people. If it is only used as a (personal) news feed, then it would be boring and it wouldn’t be as interactive as it should be. Usually, I use Twitter for really personal things--to share moments from my work, or moments from my love life or I talk about my cats or my family. And it engages lots of different people, so that when these people are following you -- and suddenly you are talking about a torture case (for example) - some of them might not usually be exposed to such cases. But because they are following me and there is an ongoing conversation between us, they will suddenly be engaged in this as well. So it’s a really powerful tool in that sense. 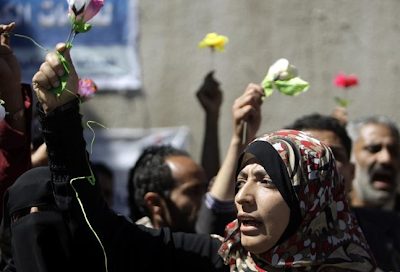 NPR: The movement has coalesced a number of forces of anger at the (Mubarak) regime. There are trade unionists, there are Muslim Brotherhood elements, there are young people who have been facing hopelessness and despair and unemployment. How worried are you that what comes next may be worse than the status quo -- for example, an Islamic revolution? SEIF: I really am not worried and I know that might sound strange to a lot of people. What I have seen these past nine days is making me really hopeful. I’m in Tahrir Square with thousands of people from completely different backgrounds and for once in my life, all of the big issues that we are usually encountering in the streets of Eygpt and are having to deal with, such as violence and tension and sexual harassment against girls, for example– all of these issues we keep on talking about now do not exist. I’m in Tahrir Square and feeling that I belong with those people and we are everyone -- there are Muslim Brotherhood (and) independent people who don’t belong to a political party. I really, really think this could (end up in) a much, much better scenario than what all of the outside world is expecting or feeling. Here's hoping it will, long after (and through) the violence of the past few days -- though as of today, government forces have been moving in on protesters in the Square, attempting to minimize their numbers. 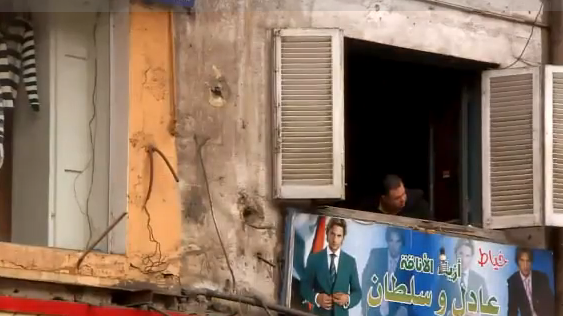 For the best ongoing coverage of the upheaval, watch Al-Jazeera's livestream, here. For alternative views of what is happening on the ground, see this essay by Joshua Stacher, assistant professor of political science at Kent State University, which asserts in Foreign Affairs that "despite the tenacity, optimism, and blood of the protesters massed in Tahrir Square, Egypt's democratic window has probably already closed." There's no question that text messages are helping self-organized groups to assemble and vent their protests around the world. But as mobile phone operator Vodafone reminded the world earlier today, social media can just as easily be turned into new tools for government propaganda. Vodafone is accusing Egyptian authorities of using its network to send pro-government text messages to its supporters, without disclosing that activity. "The current situation regarding these messages is unacceptable," Vodafone said in a press release. 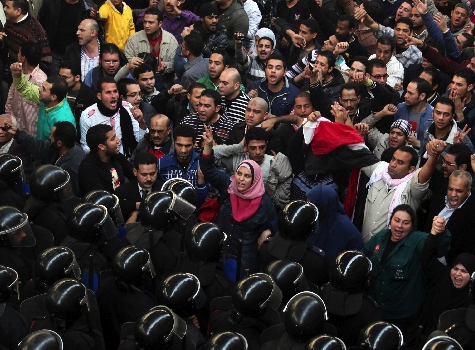 According to Reuters, text messages sent on February 2 announced the location and timing for a mass demonstration to support Egypt's President Hosni Mubarak amid mass protests calling for his immedite ouster. Vodafone says Egyptian authorities ordered Vodafone and two other mobile networks, Mobinil and Etisalat, to send messages to Egyptians to support the status quo, turning disabled networks back on briefly, just to be able to send them. The text messages were addressed to "Egypt's youth" and urged them to "listen to the voice of reason." Vodaphone, trying to distance itself from Mubarak's propaganda efforts, said: "We have made it clear that all messages should be transparent and clearly attributable to the originator. These messages are not scripted by any of the mobile network operators and we do not have the ability to respond to the authorities on their content." Last week, Vodafone said in a statement that all mobile operators in Egypt had been "instructed to suspend services in parts of Egypt. Under Egyptian legislation, the authorities have the right to issue such an order and we are obliged to comply with it." Speaking to reporters earlier today, Vodafone CEO Vittorio Colao said voice calls remain off but that data services allowing people to access the Internet are now back on. Text messaging services, however, remain disabled for the general public. Reuters is reporting that one engineer who had been working on the network to keep services running has been seriously injured and another engineer is missing. "No voice and text but mobile internet is working," Colao told Reuters. "It will be restored when we are authorized. We are in a continuous dialogue with the government on keeping our services up. But this is a country that still has a curfew in place." For more on censorship amid Cairo's turmoil, check out this Danger Room post and also this piece that appeared January 31 in The New York Times about the viral nature of censorship. Also see "Caught in the Net: Why Dictators are Going Digital'" in The Economist online.